Billy McKeague was thrown to the spotlight when he began dating Belarusian pro tennis player, Victoria Azarenka. The former world number one is famed for historic feats like being the first from her country to win a Grand Slam Singles title (2012) as well as two Australian Open singles titles (2012 and 2013). While many sports enthusiasts are quite familiar with details about one of the greatest tennis players of this era, not much is known about the man who once made her so happy. Read on to discover detailed facts about the former hockey player and golf instructor, Billy McKeague. Billy McKeague’s exact birthdate is unknown but our investigations reveal he is a St. Louis, Missouri native who was born in 1989. As one of the three children born to Chase and Lynn McKeage who currently live in Hawaii, Billy has a sister named Lisa and a brother called Charlie. A speech and dramatic art graduate from the University of Missouri-Columbia, his father Chase McKeague once served as an executive at NSI Marketing Services/Ansira. Chase and his wife Lynn currently run a family business together. While the former who is a marketer and an investment analyst is heading Chase and Company, an investment group that has dealings in various fields including real estate, the latter serves as the company’s marketing director. Billy McKeague began exhibiting athletic skills right from his high school days with special interests in sports like hockey and golf. McKeague was part of the Red Devils Hockey team in high school at Chaminade College Preparatory School, St. Louis. He continued with his stellar performance at the University of Missouri team where he played the sport for three seasons (between 2008 and 2012). After college, McKeague relocated to Hawaii and worked as a golf pro for top resorts. It was while Billy McKeague was working as a golf pro at resorts in Hawaii that he met his Belarusian love Victoria Azarenka. The former lovebirds met by chance in Kauai when the tennis player was visiting renowned volleyball player Gabrielle Reece and her surfer husband Laird Hamilton. Though the pair had an instant connection at the time, they had to leave their feelings to fate because Azarenka was still in a relationship then. But after her previous relationship ended, Victoria and Billy quickly sparked off their romance. The pair who were once head over heels in love and seemingly a perfect match had a child together. Their son Leo was welcomed in December 2016. However, just when many thought Billy and Victoria were about to take things up a notch and settle down together, news emerged that their relationship had hit the rocks. By mid-2017, the pair had split up and McKeague filed for primary custody of their son. They were both embroiled in a prolonged and bitter custody battle since McKeague and Azarenka were unable to agree on custody terms. The proceedings which were supposed to be resolved in 2017 even affected Azarenka’s career at the time. Given that she couldn’t leave her son in the US to go practice in Belarus for the US Open, Azarenka had to forgo her participation in the competition. Before their relationship went sour, Billy Mckeague seemed like every girl’s dream as he was of great support to his ex-girlfriend. After their son was born, McKeague reportedly put his career on hold in order to help Azarenka raise their son. More so, the pair used to have their workouts sessions together in Minsk, the capital of Belarus. Though Azarenka had a nanny at the time, Billy who loves being a father and spending time with his son sacrificed time away from his family and was of immense help to the tennis star. Thus, she was happy and relieved to get back on the court and focus on her career. Moreover, while the going was good, McKeague and Azarenka used to live at her Manhattan Beach Home in California. Though they mainly lived in the house, Azarenka used to travel to Minsk, Belarus to prepare herself for competitions. Billy McKeague has an athletic physique and towers at a height of 6 feet 1 inch. Other than that, his exact weight and body measurements are unknown. 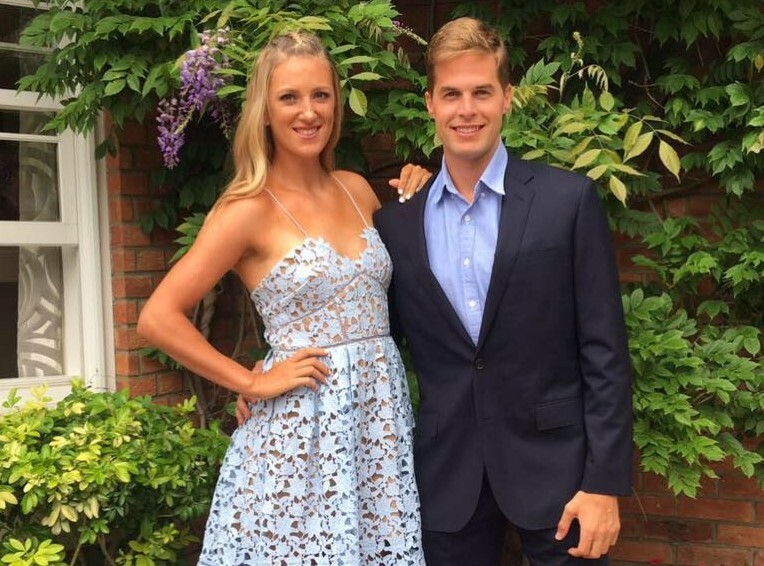 Victoria Azarenka’s ex-boyfriend does not have an active social media life. He is presumed to be inactive on popular platforms such as Facebook, Instagram, and Twitter.